10-12 November: Explore a navy warship, go on an art tour, and online shop on Singles Day! 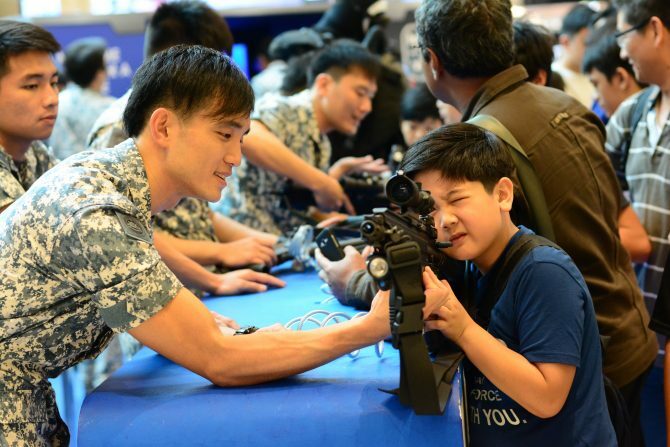 The Republic of Singapore Navy marks its 50th anniversary this year with RSN50@Vivo from 9 to 12 November at Vivocity. Over the four days, visitors can get up close to the high tech and specialised equipment, explore a warship from the inside, and even take a thrilling ride on board the Fast Craft Utility through Keppel Harbour. Look out for the performances by the Naval Diving Unit, where our elite naval divers put up an incredible showcase of strength and endurance, as well as precision drills by the National Cadet Corps (Sea) cadets! Previous Post11 Irresistible Goodies We Want From Tmall On 11.11 Next Post#ThirstyThursday: Does Luxury Cognac Go Well With Hawker Fare?